Using quality Aloe Vera ingredients in cosmetics and skin care products is a growing priority for skin care manufacturers throughout the United States and internationally. As consumers become more educated about ingredients, using aloe plants that have been grown and sourced following the industry’s best practices is essential in creating successful and sought-after products. Terry Laboratories is the number one Aloe Vera manufacturer and supplier in the industry. Unlike other manufacturers, we perform all of our testing, distribution, formulation, production, sales and service under one roof. Our Aloe Vera product list is the most comprehensive in the industry. We are able to offer more Aloe Vera extracts and concentrates than our competitors because of our commitment to testing and producing the highest quality products. If you’re interested in learning more about the products we provide, or would like to request samples, please call us at 1-800-FOR-ALOE. Many skin care products on the market incorporate Aloe Vera into their ingredient list, but if the product does not come from a reputable, high-quality farm then the product may not give you the desired results you’re looking for. Understanding when and why to use Aloe Vera is important if you’re looking to create or improve your products. Using a daily cleanser with Aloe Vera can help seriously cleanse your skin while reducing acne scars. An aloe-based serum can both moisturize and hydrate, causing your skin to feel silky smooth after application. The most popular use of Aloe Vera is in the products that treat burns, particularly those created for after sun care. Fight wrinkles and tighten the skin with a toner that incudes Aloe Vera in its ingredient list. There are many benefits a person can gain from using Aloe Vera when it comes to their health and well-being. Skin is just one of the reasons to use this product, there are also digestive benefits, as well as practical uses for incorporating Aloe Vera powders and extracts in food items and over the counter medications. By knowing these benefits, you’re easily able to use it to your advantage when it comes to adding it to your skin or another healthcare routine. It is important that you consider your skin type and any sensitivities that you may have. Some are allergic to Aloe Vera products, and they should consider what products have this extract in it, as many cosmetics and skin care products do. The manufacturer of the Aloe Vera products and extracts should be a reputable supplier that understands the quality of the product. Terry Laboratories is regarded as an industry leading manufacturer and supplier of Aloe Vera products. 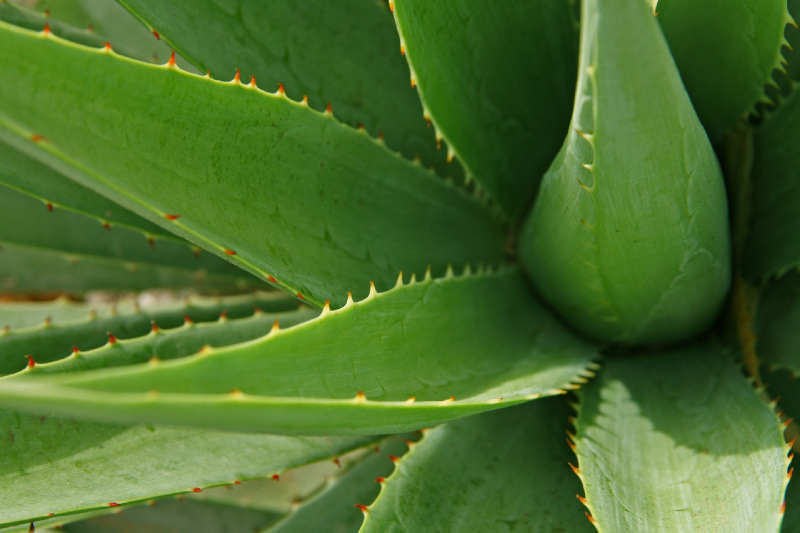 Having a proven track record for growing and supplying Aloe Vera to numerous cosmetic and skincare companies, we continue to provide the quality ingredients that are needed by companies so they can create superior skin care products. Unlike other aloe suppliers who don’t actually grow their own products, we have our own labs and farms where we grow and collect the aloe, regularly test for quality, as well as have our farms inspected following industry standards. Being in business since 1973, we have a long-standing reputation that can provide any cosmetic or skincare company with the quality aloe they’ve been searching for at an affordable price. Whether searching for Aloe Vera extracts to put in your cosmetics or skincare products, you can find anything and everything you need from Terry Laboratories. If you know what specific extract you are looking for, you can request samples online. If you’re looking for more information about available products and best uses, please give us a call at 1-800-FOR-ALOE.